Explore the vast jungles, waterfalls and mangroves of Iriomote Island (Iriomote-jima) on this full-day adventure from Ishigaki. Cruise along the Urauchi River — Okinawa's longest river — and hike to Maryudo Falls and Kanpire Falls, followed by an easy 2-hour kayak tour highlighting the regional flora and fauna. Lunch and round-trip ferry transport from Ishigaki are included. Numbers are limited to 10 people to ensure quality attention from an experienced guide. 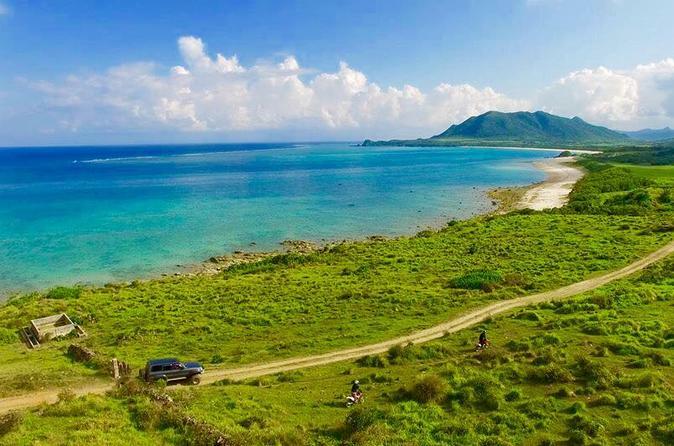 Join us for an exciting guided off-road motorbike tour in some of the most amazing locations of Ishigaki Island! The Yaeyama Islands are the remotest part of Japan from the main islands in Okinawa, and contains Japan's most southern and most western inhabited islands. 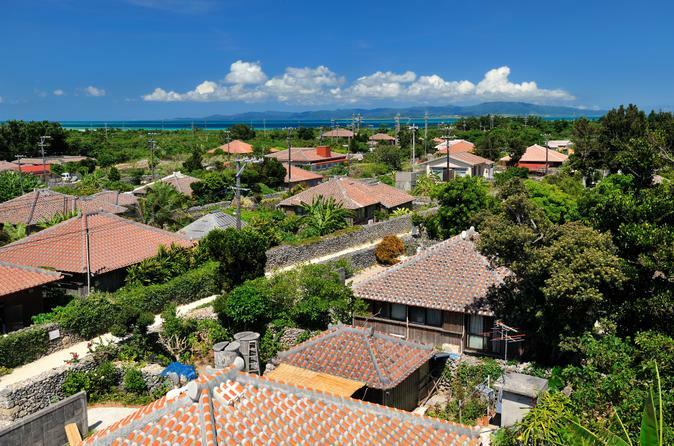 Ishigaki is located west of Okinawa and the second-largest island of the Yaeyama Island group. The city serves as the political, cultural, and economic head of the Yaeyama Islands. Ishigaki offers true diversity, a sub-tropical climate, numerous breath-taking views, lots of crystal-clear rivers, mangroves, mountains and fabulous white sandy beaches. 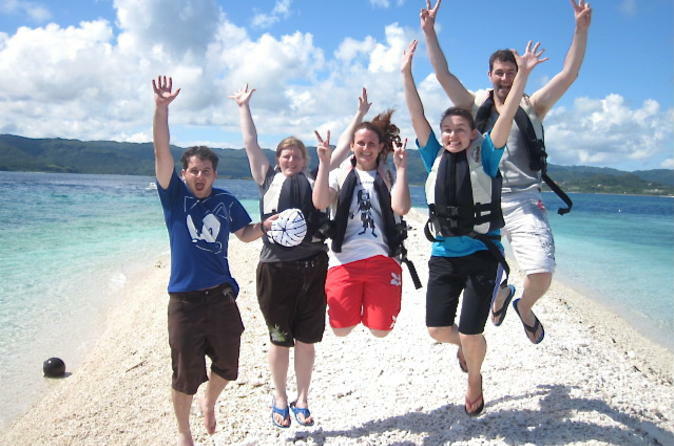 Experience a safe yet exciting off-road motorbike tour while enjoying the amazing scenery & nature of this unique island! Tour three Okinawa Islands on this full-day tour via a ferry round-trip from Ishigaki. 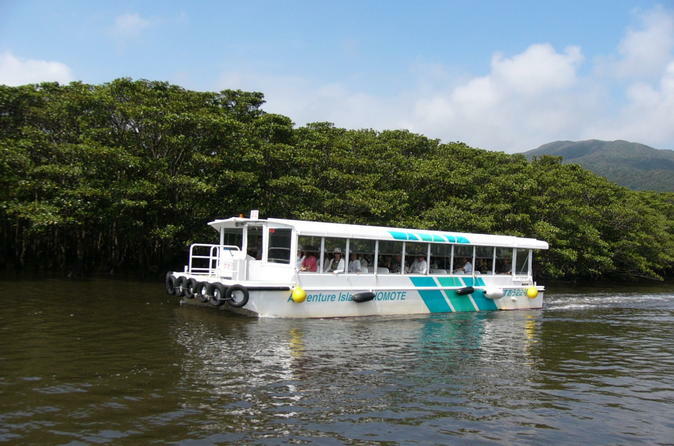 On Iriomote Island, take a mangrove cruise on the Nakama River followed by a buffalo cart ride to Yubu Island. Stroll the botanical garden and enjoy a Japanese lunch before taking a bus tour through the village of Taketomi Island. The trip to the third island is topped off with the sight of magical star-shaped sand and the sounds of traditional Okinawan songs. 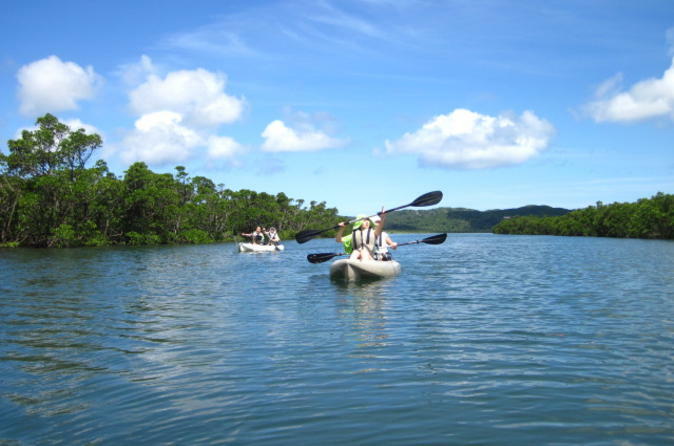 Explore remote Iriomote Island on this leisurely paced full-day active tour. The jungle-clad island teems with incredible wildlife, and this kayaking and hiking adventure is the eco-friendly way to see it. After a ferry from Ishigaki, paddle along Nishida River until you reach a hiking trail that leads to Sangara Falls for a swim and bento box lunch. 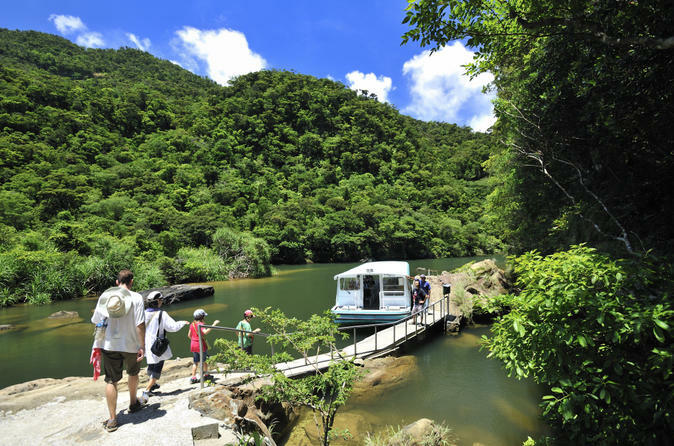 On this tour, limited to 10 people, you'll learn about the efforts to keep this unspoiled part of Iriomote-Ishigaki National Park healthy and thriving. Escape to the remote Iriomote and Yubu islands, both near Okinawa. 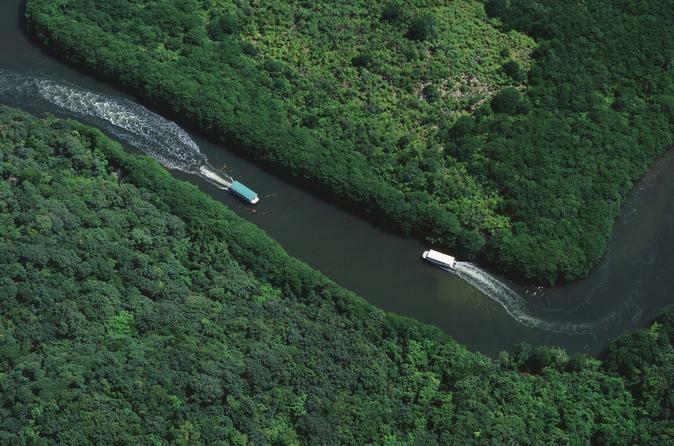 A river cruise on Iriomote Island takes you past the mangrove-lined banks of the Nakama River while a buffalo cart transports you across shallow water to Yubu Island, where you’ll earn about local plant life at the botanical garden. Lunch and round-trip transport by ferry from Ishigaki are included. The Yaeyama Islands is a snorkeler's paradise with some of the world's healthiest coral reefs. See for yourself on a seasonal full-day snorkeling tour that takes you to small isles such as Barasu and Hatoma to explore pristine waters and gorgeous beaches at three locations, including off the coast of Iriomote. Enjoy a delicious barbecue lunch and round-trip ferry transport from Ishigaki. Please note: This seasonal tour runs annually between April and September. The dates are subject to change. Visit three Okinawa islands in one day — Iriomote, Yubu and Kohama — with the option of upgrading your tour to include Taketomi Island. 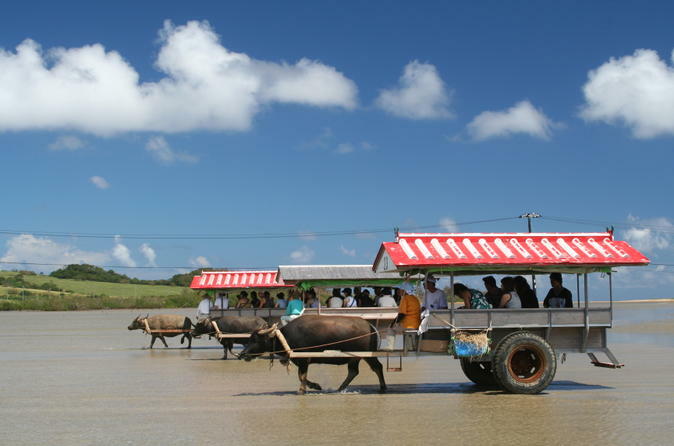 Embark on a river cruise through the mangrove forests of Iriomote, take a water buffalo cart ride on Yubu as you’re regaled with Okinawan folk music and tour the sights of Kohama by bus. If you choose to ride the ferry to Taketomi, you’ll pass traditional buildings with red tile roofs and make a stop at Star Sand Beach before returning to Ishigaki.